Motion Debate: "Does the government have a duty to educate its citizens?" The second Motion Debate continues! Here, we debate the contentious issue of the role of government and public education. Education is undoubtedly an important factor in success and accomplishment -- however, does the Government owe a moral duty to educate its citizens? Is "Stop and Frisk" an effective policy? 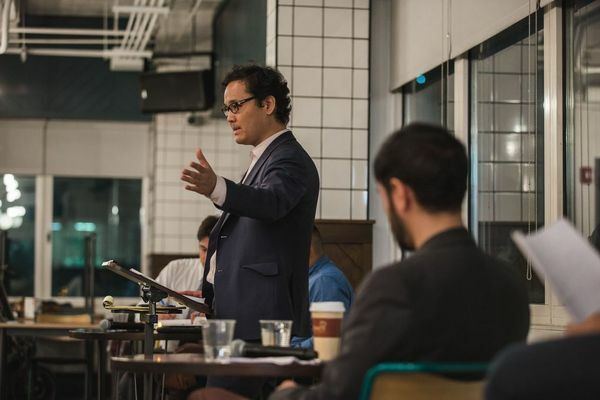 Debaters Chuck Braman and Rob Guzman were this month's winners arguing against the motion. Citing a failing public education system paid for by coercion and tax dollars, Chuck and Rob advocated the idea that parents should have full autonomy in choosing how their children receive education. Arguing for the motion were Ariela Silberstein and Lenny Herrera, who believe that while systems of education in western liberal democracies are flawed, they are necessary. Without government regulation and funding, there would be no metric to determine the success and applicability of a child's education. Read more about Motion Debate: "Does the government have a duty to educate its citizens?" We'll resume our ever-popular "regular" monthly meeting discussing the most compelling stories and events unfolding in our City, the Nation, and around the World. As always, there's plenty to discuss! 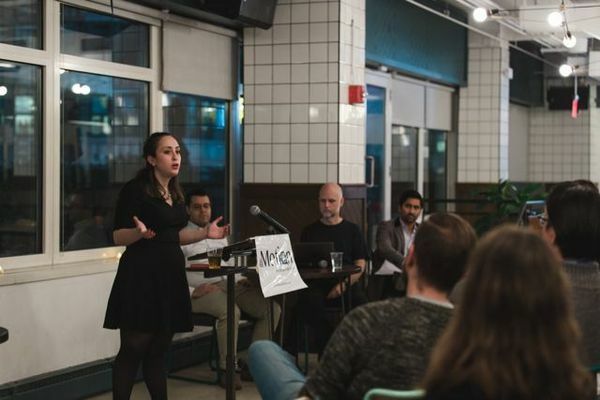 PLUS, our monthly meetings will now feature a new segment -- "a Mini-Debate," where members can engage in a short, structured debate on a contentious issue. *** MINI-DEBATE: Is every American entitled to a healthcare as a "right"? We'll resume our "regular" monthly meeting discussing the most compelling stories and events unfolding in our City, the Nation, and around the World. • The Nation: the emergence of the so-called "Fake News"
*** MINI-DEBATE: Should the U.S. Embassy in Israel change from Tel Aviv to Jerusalem? The "monthly discussion" series are undoubtedly by the most popular discussion series, that serves as our trademark "discussion menu." After a busy 2016 schedule with discussions focused around the presidential elections, we're delighted to bring back this monthly series! As we usher in the new year, a new discussion series will be introduced -- LAW, HISTORY AND POLITICS. The LHP series explore the intersections of its namesake -- an in-depth study of a particular law, court decision, or a legal precedent that shaped the political forces and its historical ramifications. • The Federalist Papers No. 2 ("Concerning Dangers from Foreign Force and Influence" -- by John Jay). • The Federalist Papers No. 68 ("The Mode of Electing the President" -- by Alexander Hamilton). • Scott v. Sandford, 60 U.S. 393 (1856) -- a.k.a. the "Dred Scott Decision"
We're excited to announce a partnership with MotionDebate.com! The NYCPF is excited to announce a new partnership with MotionDebate.com. The Motion Debate hosts monthly live debates addressing current issues, where anyone can watch or participate. Learn skills and strategies used in competitive debate, and their application toward real-world situations. Many important political subjects matters and public policies are highly debatable. At the Motion Debates, we exchange these views in an exciting live setting! Additionally, the audience members play an active role in: 1) during the live "Q&A" portion; and 2) registering their views during the pre-debate and post-debate stages. Is abundance of open information more harmful or good to society? Does the government have a duty to educate its citizens? Read more about We're excited to announce a partnership with MotionDebate.com! 2016: A big THANK YOU to ALL for a memorable year! Read more about 2016: A big THANK YOU to ALL for a memorable year! In many ways, this short video summarizes what we do here. 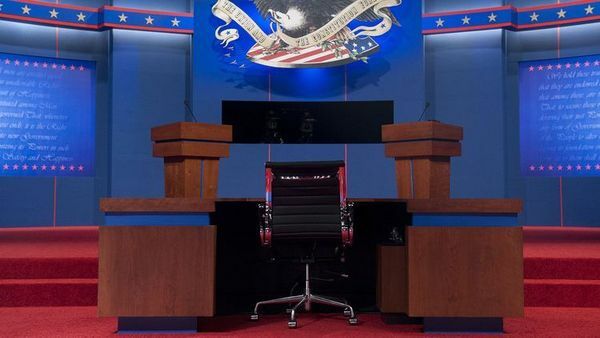 The NYCPF is proud to partner with other local groups and businesses to host each of the three Presidential Debates. (co-hosted with the "Manhattan Lectures & Conversations" and " Current Events Coffee" meetup groups). 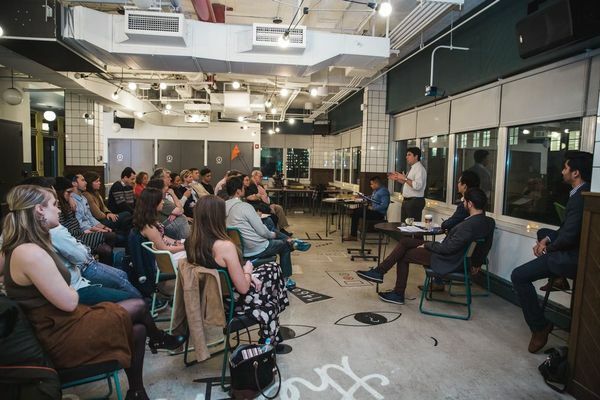 (co-hosted with the "NYC Debate" and "Manhattan Lectures & Conversations" meetup groups). As we enter the final stages of the 2016 Presidential Election season, we'll conduct a three-part "Policy Forum" to examine each Candidate's proposed policies. Our aim is to go beyond the mere campaign rhetoric, sloganeering, or platitudes to examine the substantive policy positions in-depth. We'll compare and contrast the policy positions of the four candidates nominated by the Democratic, Green, Libertarian, and Republican Parties. 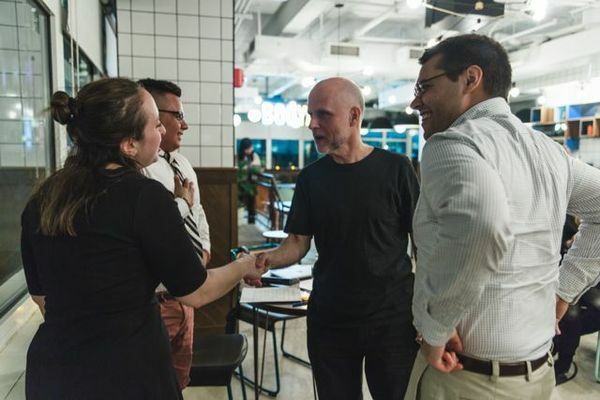 The "Policy Forum" series are purely intended to be for discussion purposes only, as the NYCPF does not endorse or advocate on behalf of any Candidates or Parties. The "Movement Politics" series explore the various social movements, political forces, and coalitions that aim to bring about certain political changes, reforms or outcomes in furtherance of advancing a particular ideology. The "Movement Politics" series are purely intended to be for discussion purposes only, as the NYCPF does not endorse or advocate on behalf of any groups or organizations. Our aim is to explore these movements or groups, in depth, without the veneer of hyperpartisan rhetoric -- thus, the discussions will be based on factual evidence, coupled with sound, logical reasoning and persuasion with the highest level of intellectual rigor. Part One -- "The "Alt-Right"­ and the "Regressive Left"
Part Two -- The Rise and the (Ostensible) Fall of the Religious Conservatives in the U.S.